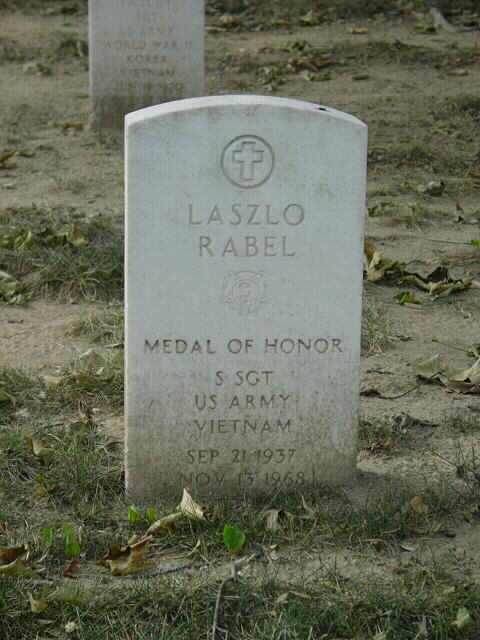 Born at Budapest, Hungary, September 21, 1939, he earned the Medal of Honor in Vietnam while serving with the 74th Infantry Detachment (Long Range Patrol), 173rd Airborne Brigade at Binh Dinh Province, Vietnam, November 13, 1968. 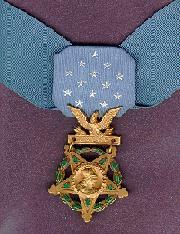 For conspicious gallantry and intrepidity in action at the risk of his own life above and beyond the call of duty. He distinguished himself while serving as leader of Team Delta, 74th Infantry Detachment. At 1000 hours on this date, Team Delta was in a defensive prrimeter conducting reconnaissance of enemy trail networks when a member of the team detected enemy movement to the front. As he and a comrade prepared to clear the area, he heard an incoming grenade as it landed in the midst of the team's perimeter. With complete disregard for his own life, he threw himself on the grenade and, covering it with his body, received the complete impact of the immediate explosion. Through indomitable courage, complete disregard for his own life and injury to the other members of Team Delta. By gallantry at the cost of his life in the highest traditions of the military service, he has reflected great credit upon himself and the United States Army. His body was returned to the United States where it was buried in Section 52 of Arlington National Cemetery. Rank and organization: Staff Sergeant, U.S. Army, 74th Infantry Detachment (Long Range Patrol), 173d Airborne Brigade. Place and date: Binh Dinh Province, Republic of Vietnam, 13 November 1968. Entered service at: Minneapolis, Minnesota. Born: 21 September 1939, Budapest, Hungary. explosion. Through his indomitable courage, complete disregard for his safety and profound concern for his fellow soldiers, S/Sgt. Rabel averted the loss of life and injury to the other members of Team Delta. By his gallantry at the cost of his life in the highest traditions of the military service, S/Sgt. 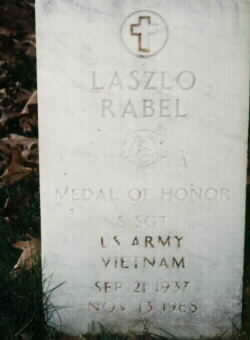 Rabel has reflected great credit upon himself, his unit, and the U.S. Army.